Two items continued to pass on the airport carrousel – a small green case and a pair of skis. Neither was ours and neither would do us any good on an 11 day cruise in the Eastern Mediterranean in February. 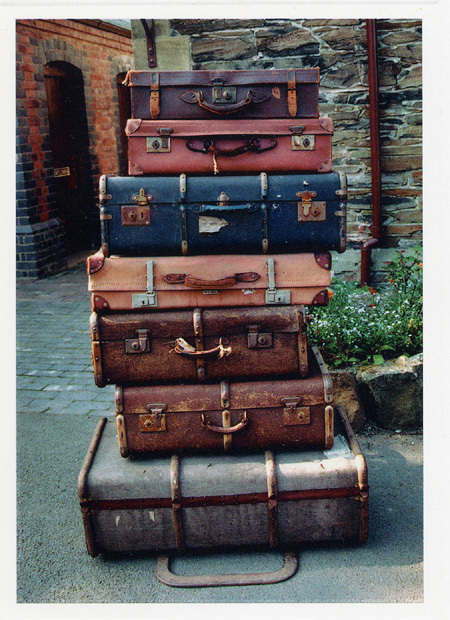 We reported our luggage – missing – lost in transit. We completed and received a copy of the appropriate form, and reassurances that our cases would arrive that night by a later flight, and so we made our way to our hotel in Barcelona. Seven hours and five phone calls later, we found out that our luggage was not considered missing or lost, the airline computer was able to locate it precisely. It just wasn’t with us – it was still in Gatwick! The insurance company would only sanction the spending of £100 if it was delayed more than 24 hours, after all, the luggage was not lost, it just wasn’t with us. We were told – if it did not arrive by the time we boarded the ship, it would be sent to the next port of call. It would still not be classified as lost, it just wouldn’t be with us. Twenty three hours later our cases were delivered to our hotel and we heaved a sigh of relief. Anyway, all this came to mind again, because over the past couple of days I’ve thought a lot about this question of “when is something lost?” As far as we were concerned our luggage was lost. But from the perspective of the airline and insurance companies, (because they knew exactly where the cases were), they were not lost, just not with us. And when someone put them on a plane to start their journey, we would eventually be reunited. When we think of something being lost we tend to think: lost to us; never to be seen again, or at least not seen until much later and after much searching. When we read the parable of the lost sheep (which strayed), the lost coin (perhaps due to negligence on the part of another), or the lost son (rebellion), we tend to think of them as being lost to God, and God going out to search for them, as if he did not know where they were, or waiting for them, till they come to their senses. But is that always the case? Or is it more like the airline and insurance companies? God knows exactly where his children are; they are not lost, just not with him. He searches for them; in that he calls them, but sometimes it takes a third party who hears the call also, to make sure that the journey is started; and so God continues to wait patiently for the reunion. Is there someone you know, that you should be ensuring starts the journey that leads to reunion?